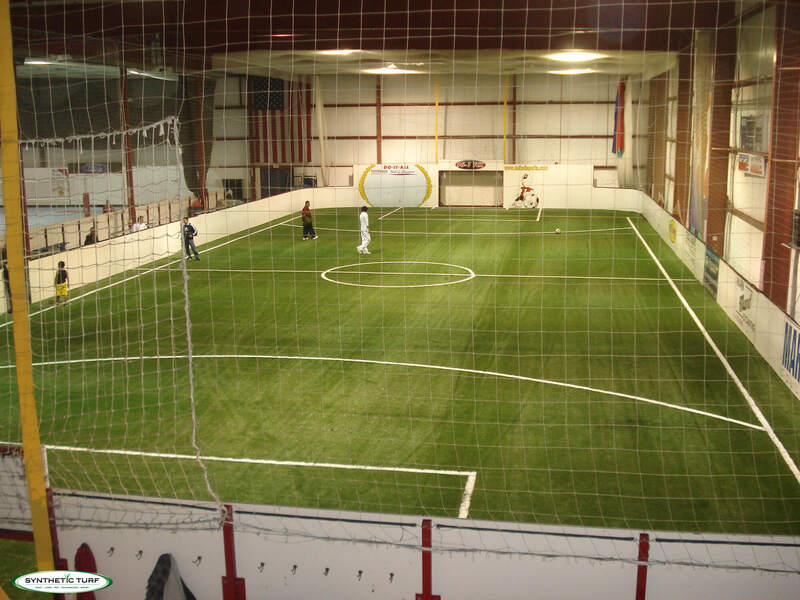 Indoor Soccer turf comes in two styles: Carpet Style or Infill Style. Carpet Style Turf is short-piled turf that usually comes on a thin pad. It does not require any of the rubber infill and does not require any maintenance. The Infill Style turf is the long-bladed grass-like turf that gets filled with the black rubber “pellets” or granules that add cushion. The style does require some regular maintenance to keep the rubber evenly distributed and to “fluff” up the fibers. If you have a large space, you will need to consider purchasing a piece of “grooming equipment”. Ask us for more details on this. For those looking for the “ultimate indoor field” that provides both cushion and speed, we offer our modular under-layment panel system. These unique panels interlock and are large enough that they provide just enough flex, but not too much. Installing turf directly on concrete, even with a pad, can be very hard if a player goes down hard. Protect your athlete from the bottom up with our Champion Base System. Ask us for specifications and details. We sell turf and base-panels direct and we also offer turn-key service with our certified installers. We offer the largest selection of indoor soccer turfs available and we would be happy to discuss the options and costs with you. Our specialty! Custom lines, goal boxes, padding, the works! Call or email us with the dimensions of your space and we can give you a very good idea on the cost of the project. It is not an inexpensive project, but it is one that will last for decades and provides hours of fun and transform that basement or empty space. Call or email us today with the dimensions of your space for your free estimate.